Victor Hugo once said, “There’s nothing more powerful than an idea whose time has come.” The eradication of ecocide is such an idea. I believe each of us has something of value to offer the world at large; each of us has a mission. My recent guest on Voices from the North, U.K. lawyer Polly Higgins, has found hers. Ecocide is a term first coined in the 1970s. Ecocide is anything that causes mass damage, destruction to or loss of ecosystems. And though the term ecocide has existed for decades the idea whose time has come is Polly’s. She proposes to make Ecocide the 5th international Crime against Peace. Her proposed amendment to the Rome Statute says: Ecocide is the extensive damage to, destruction of or loss of ecosystem(s) of a given territory, whether by human agency or by other causes, to such an extent that peaceful enjoyment by the inhabitants of that territory has been severely diminished. A favourite uncle of mine, Dr. Roger Butler invented a technology that allows economically viable horizontal extraction of oil from tar sands. His discovery has resulted in what is arguably the single biggest environmental eyesore on the planet. The Athabasca Tar Sands project has created an ugly, poisonous blight in the northern Canadian tundra easily visible from space. It is immense. It is the size of England and Wales combined and it continues to grow. My uncle, an intelligent, passionate and highly likeable character could hardly have foreseen the scale of devastation his discovery has wrought. Polly Higgins revealed in our time together on the radio that one of her forebears, Patillo Higgins, discovered oil in Texas in 1901. His well was a gusher that was still working one hundred years later. The well had an initial flow rate greater than all of the oil wells in the United States combined in that day. The Spindletop oilfield churned out over 3 million barrels the first year of operation, and over 17 million barrels the following year. This effectively brought an end to John D. Rockefeller’s world monopoly. Within fifteen years of his oil discovery an unprecedented industry build-up resulting in half a million jobs had emerged. So it would seem Polly and I (and many others) have ‘ancestral dirt’ on our hands. It goes to show each of us has a responsibility to future generations to reverse current trends of destruction and ensure this planet remains beautiful, unsullied and teeming with life. The scale with which corporations extract minerals and oil from the sub-surface of the earth today is unprecedented and hugely destructive. Despite blatant warnings such as Chernobyl and the 2011 Fukushima Daiichi nuclear disaster, nuclear power is still expanding. China alone has 14 nuclear power reactors in operation, more than 25 under construction, and more about to start construction soon. Despite the 2008 BP debacle in the Gulf of Mexico deep sea oil drilling continues unabated. Despite the known dangers of fracking (including the poisoning of groundwater and increased seismic activity), the present New Zealand government is freely handing out permits for this practise of induced hydraulic fracturing or hydrofracking, commonly known as fracking, a technique using drilling and the pressurized introduction of water, sand and chemicals to release petroleum, natural gas or other substances to the surface for extraction. Present laws of contract compel corporate leaders to maximize shareholder profits. There is little incentive to address downstream environmental impacts in decision making. Please visit www.eradicatingecocide.com and find out how you can add your voice to a growing chorus of voices calling for laws which acknowledge that the Earth herself is precious and has rights and is not simply a resource to be plundered. As it says on Polly’s website: By giving mass damage destruction and loss of ecosystems legal definition we can close the door to the killing of the Earth. This is a world that deserves to live. Time is of the utmost. Polly Higgins would dearly like to see ecocide championed at the Rio+20 Earth Summit in June this year. That’s only weeks from now. Spread the word and get the cyber waves humming about this brave and timely vision destined to create a legal framework for peace. ‘Current law protects the polluter, not people and planet. Laws provide pollution permits. If a company exceeds its limits it can be fined, which often makes no difference, as they can afford to pay the fines and still make profit. The law has set up a system that gives companies the right to pollute and destroy. By creating a law of Ecocide, the law will protect people and planet. 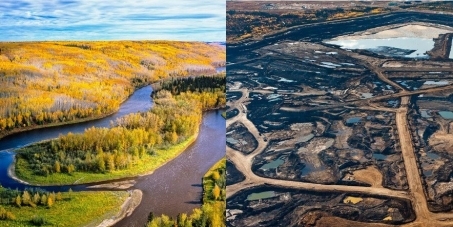 Until now, the Earth has been burning while lawyers and environmentalists have fiddled with environmental legislation and protests against harmful projects like the Tar Sands. Ecocide laws will allow us to put the fires out.